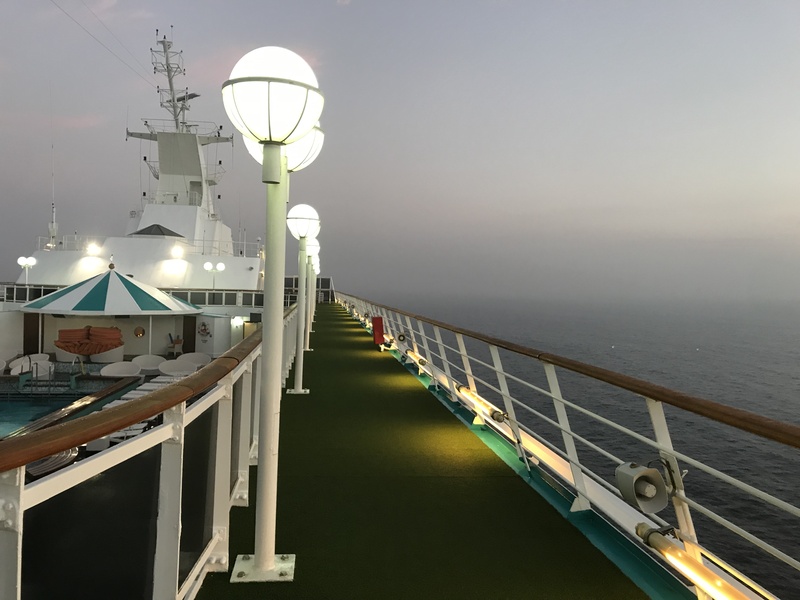 As of January 2019, the ships reviewed on this blog belong exclusively to Seabourn, Silversea, Crystal and Regent Seven Seas, representing the top echelon of small ship ultra-luxury cruising. All cruises reviewed by Josh Friedman Luxury Travel are inclusive, for the most part, of everything including wines & spirits, gratuities and 24/7 room service. Regent Seven Seas Cruises is the only one also inclusive of shore excursions, although perks as part of our Virtuoso Voyages program usually include the option of a complimentary excursion. Spa, salon, boutique – and the casino, are not included. Wi-Fi is usually included. But again, instead of our complimentary shore excursion option, there is always the option of a shipboard credit. This perk is available on over half of our ultra-luxury sailings. * These are the new lower numbers as of 2017, due to the ship’s remodel. Crystal Symphony (1995; 51,044 GRT; 922 guests) isn’t an exact sister, but minimally smaller in size and capacity. Layout is similar. Crystal Mozart (1987; 4,000 GRT, 154 guests), Crystal Bach, Crystal Mahler, Crystal Ravel, Crystal Debussy are river cruise boats (2017-2018; 106 guests) and operate in Europe. Being more used to Silversea and Seabourn, the size of this ship and the amenities that come along with size created a very different experience. I liked it a lot, particularly the extra space in general, the extra seating, the bigger pool area, the variety of restaurants, bars, movie theaters and other entertainment venues. It might just be the perfect size. That said, I also like the smaller, quieter, and clubbier Seabourn or Silversea. Crystal just has 2 options, casual or formal optional. Some guests dressed casually, and they were typically in their 50s – 60s. A sophisticated older crowd, many 80+ dressed up regularly. The diversity worked well and the stress of not having to dress up is great for the new cruising crowd who just doesn’t want to. Personally, I’m 50% in both categories. Bathroom was fantastic and large. Double sinks, big colorful ETRO designer amenities. Bathtub/shower combination. The room was a good size at 226 Sq. Ft. plus a 43 Sq. Ft. balcony. Bed was incredibly comfortable, and the sheets were luxurious. Not sure how a couple would be able to fit all their clothes in the closest for a 1 week cruise, let alone a longer one, but I’ve never had a client complain. Furniture showed the ship’s age but wasn’t so bad. I would probably recommend a cabin on Deck 9 as minimally better to avoid a possible lack of privacy due the Promenade Deck 7. Before dinner the Avenue Bar was the sophisticated New York cabaret hangout, with a round bar perfect for great conversation. The bartender Dennis was from Montenegro (I think) and a lot of fun. He served up among other drinks, 18 or so different Manhattans from their Manhattan only menu. A lot of fun to try a new one, or 2, every day. Unfortunately for me it was just a 6 night cruise and I didn’t discover this bar until about Day 3. Waterside is the main dining room, newly revamped and defines casual elegance. The layout is less dining hall than snazzy restaurant. My favorite meal was a specialty Mexican menu prepared by a well-known local chef. 5 star dining, very local, and very good. Umi Uma and Sushi Bar, the former Nobu, was my other exceptional meal. Just amazing, especially the paper thin sliced jalapenos on sashimi. Churrascaria, a Brazilian steakhouse, the evening representation of Marketplace. It’s in the aft part of the ship, similar to Seabourn’s Colonnade or Silversea’s La Terrazza, but casual. It’s part buffet with interesting and foodie worthy cold and hot areas. And then the waiters bring to your table, on a regular basis, various meats on spits, like lamb, steak and shrimp. And Ben & Jerry’s! Enough said. Every day. About 6 flavors. Fantastic, and a reputation for excellence well deserved. A mixed older and newer staff knows what they’re doing (the older ones a bit more of course) and are professionals. Somebody at Crystal is doing a great job of training. Anticipating needs, remembering your drinks and pleasantly engaging.